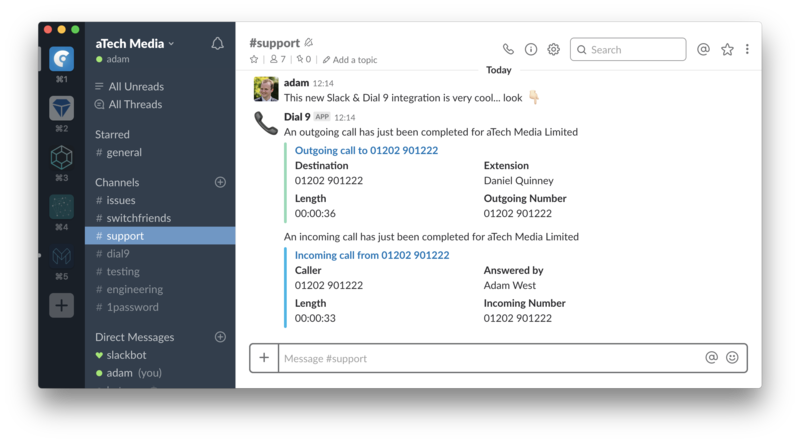 Slack is a great service allowing teams to easily collaborate together and, today, we're delighted to announce our new integration that allows you to easily see when calls are made or received on your phone system. Select Install in the Slack integration box. You'll then be directed to Slack's service where you can login and they'll send you back to us when that's complete. 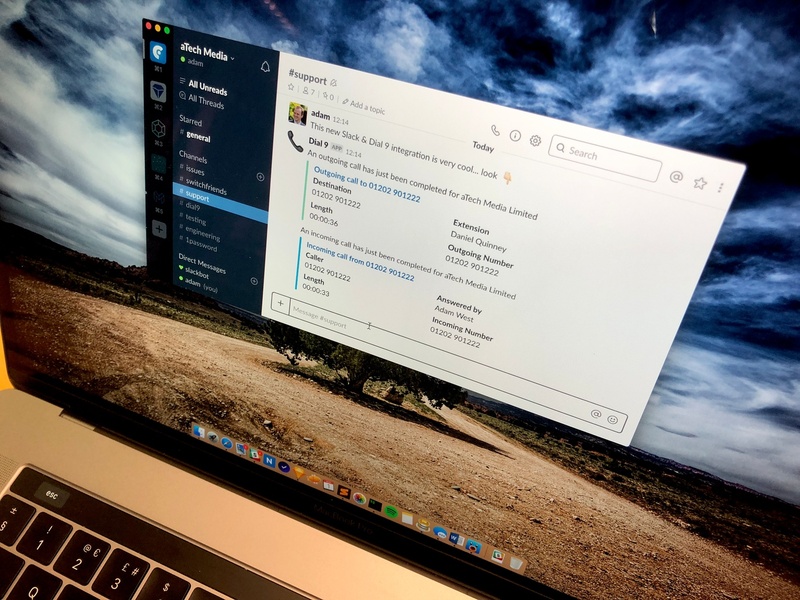 Choose the channel you wish to send your messages to and then press Install Slack button. Once installed, you'll receive messages in your selected channel whenever a call is ended. You should find it pops up within a second or two of you hanging up. Why not give it a try? Top tip: you can click on the title of the notification to open up the call details in our portal and listen to any call recordings you might have. If there's any other services you'd like to see us integrate with, please let us know.